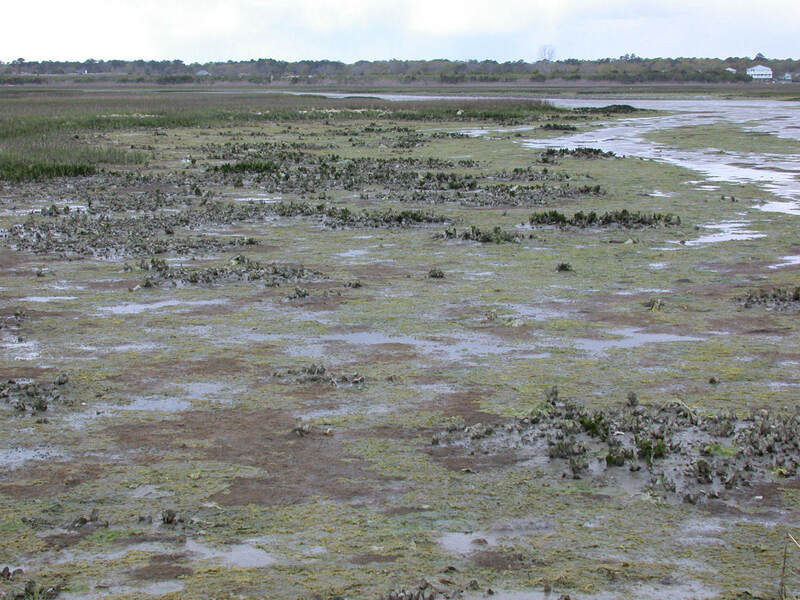 Oyster beds at low tide. The North Carolina National Estuarine Research Reserve is comprised of four sites located near Corolla (Currituck Banks), Beaufort (Rachel Carson) and Wilmington (Masonboro Island and Zeke's Island) near Cape Hatteras. Credit: North Carolina National Estuarine Research Reserve.